I have a question regarding teacher square on my Jupiter mount.the one of line which involves in formation of teacher square is coming from edge of palm and it is quite prominent.I have to ask about this prominent line whether it is part of sympathy line or part straight Solomon ring. 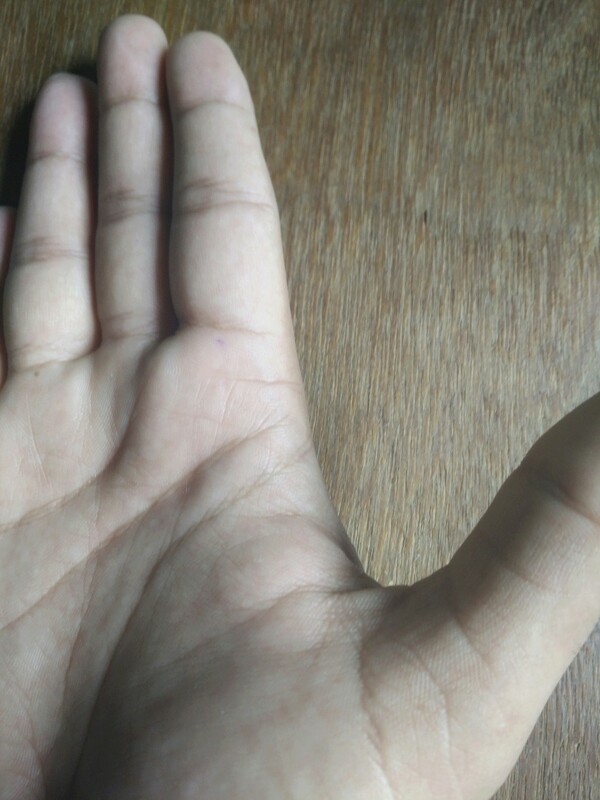 I have tried to upload my palm image for more clarity, but i am unsuccessful to do so. When you upload the palm images I shall have a look at it. Tomzerry wrote: I have tried to upload my palm image for more clarity, but i am unsuccessful to do so. 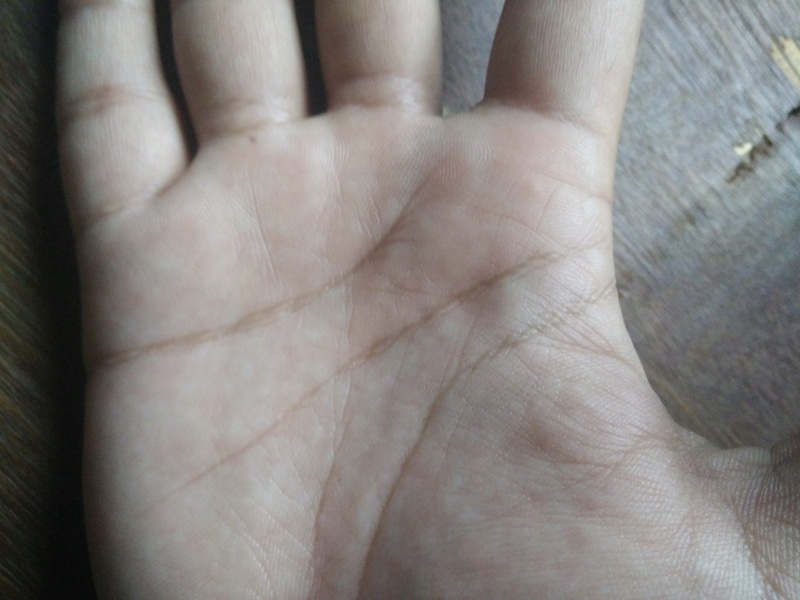 Please look into my palm image. That is not a proper square. The two upwards side lines are dim and not complete. The question is not about the teacher square,the single horizotal line coming from edge which is quite prominent,what this line signify. It maybe part of the Ring of Solomon but cannot be sure as the Ring is not complete. Do you have such a nature? I am not sure which kind of property brings the ring of solomon. 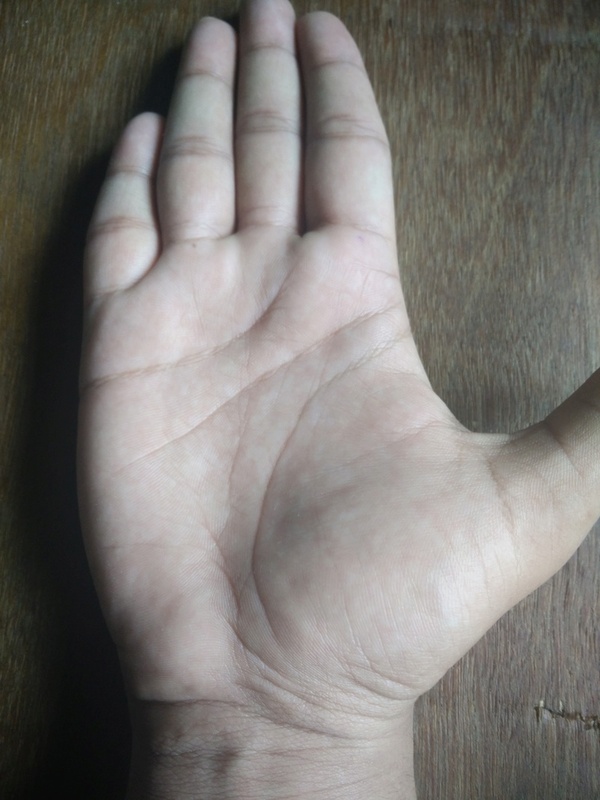 hand ,and in my palm there is half of head line is chained and island present and my head line is clearly far away from heart line.Heartline is also chained.Can you give some light on these. If you need any other info then please let me know. General reading cannot be given. Ask one Specific Question. You have not answered my question. Do you have the qualities of Ring of Solomon ---- that is a person who has wisdom and spiritually inclined. He guides those who come to him for advise. Tomzerry wrote: I am not sure which kind of property brings the ring of solomon. Generally my day to day activity is such that,I don't have that much interaction with people.So if you ask me whether I am spiritually inclined or not,it's really difficult to answer.I have very few friends but if they come for advice then I used to give them. Regarding specific question,Can you tell me whether I will travel abroad or not. Martijn will answer that question of Ring of Solomon better. Tomzerry wrote: Generally my day to day activity is such that,I don't have that much interaction with people.So if you ask me whether I am spiritually inclined or not,it's really difficult to answer.I have very few friends but if they come for advice then I used to give them. Not a single snap of right is of full palm showing the front side. Your Mount of Venus is huge so you should travel a lot and can go abroad. Abroad only means going far away from where you were born and need not be a change of country. Thank you for your reply.please find full snap of my hand. Sorry I forgot to ask you your age and with which hand do you write/ You will definitely go far away from where you were born but when that will be I shall tell you once I receive your response. Tomzerry wrote: Thank you for your reply.please find full snap of my hand. I write with right hand and right now my age is 33 years 9 months.So going to become 34 in November. There is a change in your life at 37 approximate and again at 40 approx. age. So going away may coincide with either of these period. Tomzerry wrote: I write with right hand and right now my age is 33 years 9 months.So going to become 34 in November. Thank you .I have one more question,It's related with my mental ability,generally when ever there is new and unknown task in my job,I used to become heavily nervous.I user to get severe headache,it's it is going to eat me.But somehow I am able to complete.What I want to tell you ,I am not giving 100 percent my ability to my job,because if which if the task came and I need to do it mandetorily then I become nervous.So still internally I am thinking I don't want to do this job,because of which I am not giving 100 percent.Sometime I used to solve really tough kind if issue ,which generally not solved by other people at least in my job profile.So this gave wrong impression to my colleague ,if he solved such tough problm then how come he is taking help for small issue.They think ,I know but I don't want to do.But I know it's wrong impression about me,I genuinely afraid. So can you please elaborate about my head status,why there is doubt. 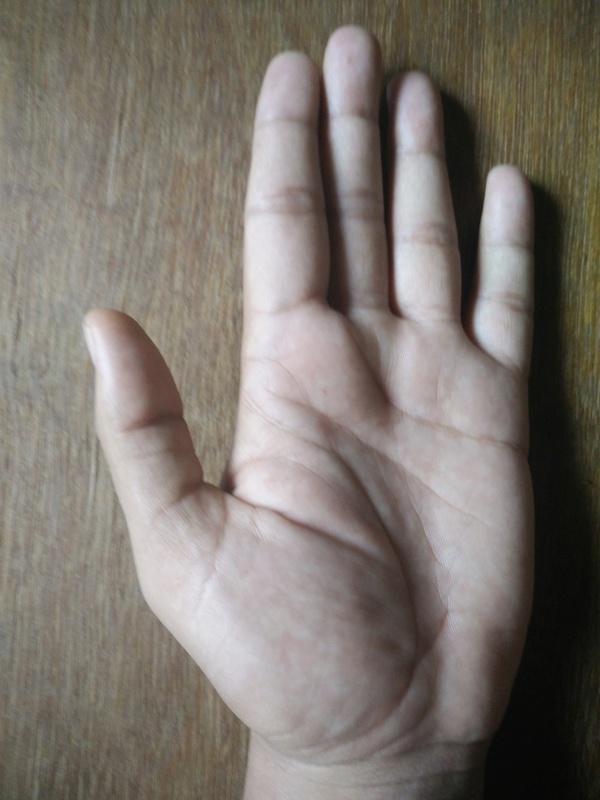 This is my left palm image.May be if you need. It will be best if you meet some expert in your city and consult him. Tomzerry wrote: Thank you .I have one more question,It's related with my mental ability,generally when ever there is new and unknown task in my job,I used to become heavily nervous.I user to get severe headache,it's it is going to eat me.But somehow I am able to complete.What I want to tell you ,I am not giving 100 percent my ability to my job,because if which if the task came and I need to do it mandetorily then I become nervous.So still internally I am thinking I don't want to do this job,because of which I am not giving 100 percent.Sometime I used to solve really tough kind if issue ,which generally not solved by other people at least in my job profile.So this gave wrong impression to my colleague ,if he solved such tough problm then how come he is taking help for small issue.They think ,I know but I don't want to do.But I know it's wrong impression about me,I genuinely afraid. Reply with quote Re: Can Mental Illness be Diagnosed from the Palm? I do have chained and island on my headline and I do have certain symptoms like decision making and confusion.Anyway thanks for your time ,I will try to meet some expert. I do not see any chained head line. How is your memory and concentration? 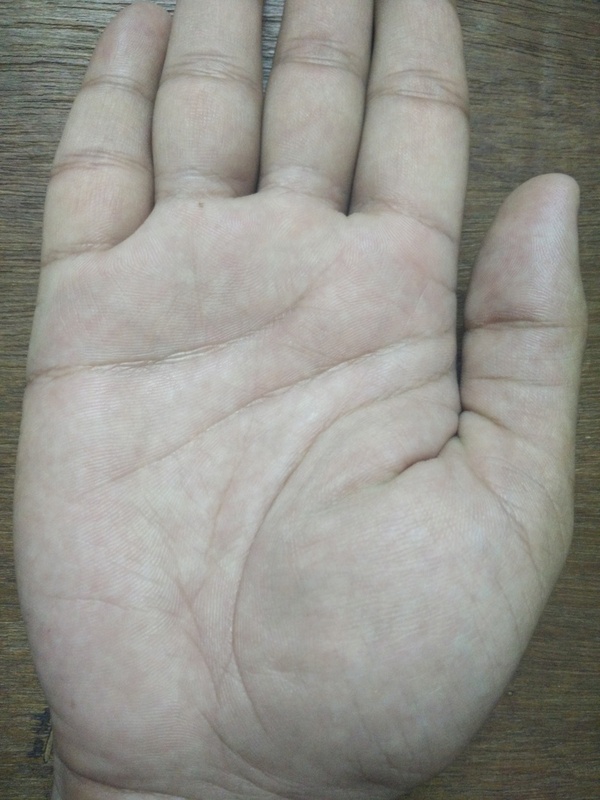 For clarity I have attached the close view of my right palm.you can see the head line have some island.By the way my memory is not so good and from childhood I have concentration problem.I remember ,my siblings used to discuss I have good brain but I don't use it .My father used to discuss about my concentration,more importantly about my focus on study.So long story in short I do have concentration problem. Just for info when I look at my palm then I found i do have prominent Jupiter and Venus mount and head line is parallel with heart line.